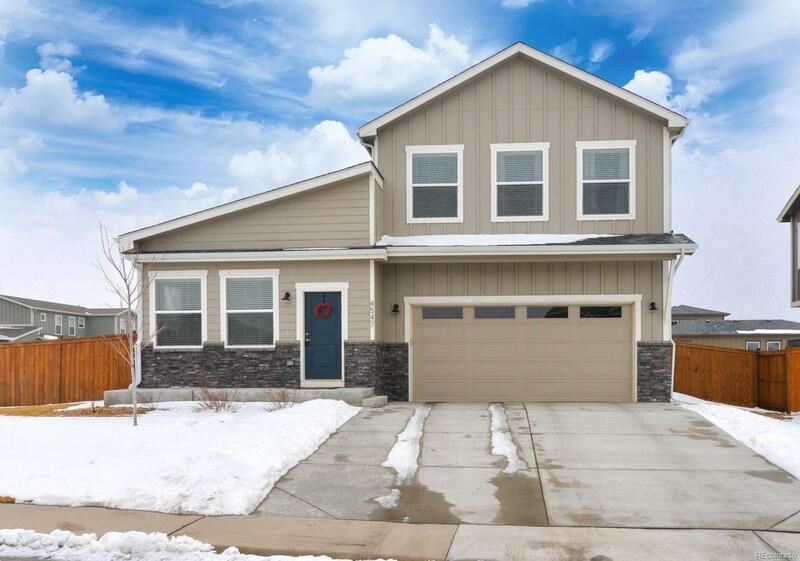 Modern 2-story w/absolutely beautiful finishes. Engineered hardwood floors throughout entry, living, dining & kitchen areas. Large kitchen island w/granite & upgraded cabinetry. Very open & spacious throughout w/main floor bed/office & 3 beds up w/loft area. Large walk in master closet & 5 piece bath w/granite topped vanities. Oversized corner lot is fully fenced & there is covered rear patio & oversized garage w/30' depth. Bring you boat & compare this immaculate home to any new home.